Concord Nkabinde is probably, by far, South Africa’s most popular bassist. Nobody has ever got a bad word to say about the man. It is said that Concord has an old man’s head on a young man’s shoulders and having known him for the last eight years, I can testify to that fact. When we have our South African Bass Collective members meetings, Concord always brings an air of calmness, wisdom, unquestionable reasoning and an ever-present smile with him, which doesn’t go unnoticed. I spoke to Concord at the tail end of 2008 and this is what he had to say about Music, The Bass and Life. [Martin] How long have you been playing Concord? [Concord] I started with Guitar in 1980 and switched to Bass Guitar in 1985. [Martin] You’re a musician that plays bass. Are there other instruments that you play? [Concord] I also sing, play guitar & keyboards. In addition I compose and produce music recording artists and for Film & Television. [Martin] Do you come from a musical family? [Concord] Yes I do. Dad was training choral & gospel groups. My grounding is really in Church music. My elder brother started playing guitar before I did. When I started learning the guitar seriously, he seemed to loose interest. I guess the rest became history. [Martin] You’ve been formally trained by Trevor Don Jeany, Prof. Marc Duby and Steve Calvert. How long did you study for? [Concord] Studying never stops. I am still studying. I was at the University of KwaZulu Natal from 1990 – 1994. I studied towards a Bachelor of music in Jazz Studies. [Martin] Who are the musicians that have influenced your career? [Concord] There are too many to mention. Some that I keep going back to are Miles Davis, Beethoven, Ladysmith Black Mambazo, Steely Dan. [Martin] What instruments / amplification have you owned over the years? I own SWR Amplification but I have the pleasure of requesting any gear for performances. The ones I like to use are EDEN, EBS, EMPEG. [Martin] Are you an endorser of these products? [Concord] Yes I endorse LAKLAND Bass Guitars & ELIXIR Strings. Often I talk to musicians who endorse products they don’t even believe in. I am blessed to endorse products that I would have used even if I did not have these endorsement deals in place. One of the things I get asked a lot about is my sound. Be it at gigs, in studios, when I hold clinics, etc. the questions seem to be about clarity & definition of sound, the level/volume of the instrument and the long sustain of the sound. I would like to believe that a combination of a number of things brings about this result. A well-made instrument and great strings are important aspects of this winning equation. [Martin] What projects have you been involved in over the last five years? – “Black” (UK) – Performed and recorded 2 albums with him. – Danny K (South African Pop singer) – SA Tour as support act for US star USHER. – Standard Bank Young Artists Jazz Trio – Istanbul – Turkey, Hong Kong, Beijing & Shanghai – China. Themba Mkhize, Kunle Ayo and many more. [Martin] You’ve released two CD’s – “The Time, The Season” and “This is my World”. Could you tell us a little bit about each album, Drocnoc music and your up-coming release? [Concord] “The time, The season” was my debut release in 2003. It was pretty experimental, a bit vocal & a bit instrumental. It really was learning ground in as far as finding my ‘voice’ was concerned. I had also just set up my record label Drocnoc Music, so everything was serious education for me. I also learnt a lot about production on the debut CD. The second release “This is my World” had more attention paid towards the production. I also decided to make it more of a vocal project and so I wrote full-on songs. 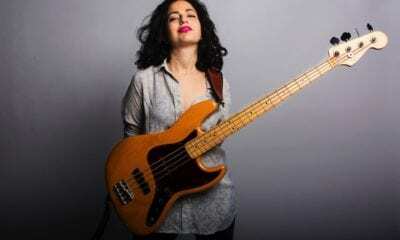 Even though I am a Bass player, my approach to music has never been from a bass premise. I conceptualize, write, record & perform music from a complete musical approach. My music is never about how well I can play the Bass. I love to write songs that speak to the general listener, songs they will remember the next morning. I have started writing material for the next CD release. A live DVD will also be coming out now in early 2009. Running a record label and being an artist at the same time is quite challenging but I have learnt so much on the business front. 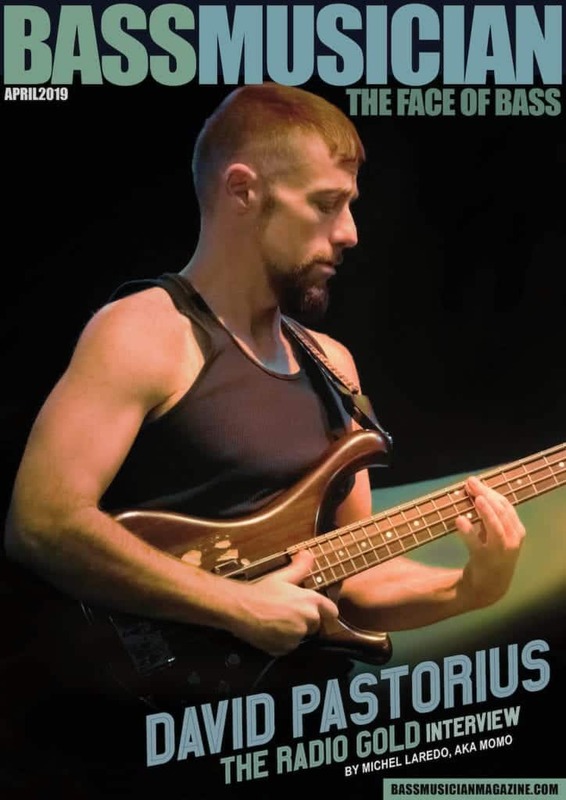 [Martin] You had such faith in yourself that you gave up the bass chair with Johnny Clegg’s band – a job that most other bassists would have clung to for as long as they possibly could. Obviously your sites are set on bigger and better things. Could you tell us where you envisage Concord to be as a 50 year old? [Concord] It is not just about faith in oneself, but about setting goals and working hard to achieve them. It is about letting your passion drive you to greater heights. The very thing I learnt from working with Johnny Clegg was the importance of having a strong concept & a distinct voice. So I left the band to try and put that into practice. I still plan to tour internationally with my band. Not only do I want to do concerts but also do workshops and share our musical heritage with the world as we also learn from the world. I want to compose more & produce recordings more. I love meaningful collaborations, so I am constantly on the look out for interesting artists from all over the world. [Martin] What are your goals – long term and short term? To release the long awaited Live DVD in the early part of 2009. Later in 2009 I will release the 3rd CD. Touring the band overseas, possibly starting in Germany. I am also looking at international collaborations – both for tours and recordings. I plan to set up workshops for younger musicians to equip them with business skills. [Martin] We’ve been friends for a while now and you’ve always struck me as someone that would be able to make a success out of anything you turn your attention to. Do you have any interests outside of the musical arena? [Concord] The music industry is so broad. I only have one lifetime to explore it. I am engaging with& interested in many sectors of the music industry such as: writing music for Film & TV, Music education, Musical events, Teaching, Producing, etc. I love photography and have been taking general pics on my tours. Even that, I will incorporate in the musical shows audiovisual display. I can also have photographic exhibitions at my concerts. This industry is not only about being on stage. There is so much more. [Martin] What advice would you give to a youngster starting out on a music career? [Concord] Have PURPOSE in all you do & the music you make. Always PRIORITISE and stop wasting time on things that will not get you anywhere. You know those things. PRACTICE like mad. Not just music but all the skills you need to run a business: people skills & punctuality. POSITION your self wisely & strategically in the broader world. People need to hear you and see you.